The Capstone International Center strives to serve The University of Alabama, and in collaboration with all its units, to help advance the University to even higher levels of achievement in the international arena. In addition to the international arena, the CIC works to involve the local community in outreach projects. These projects are meant to internationalize the UA campus as well as Tuscaloosa. 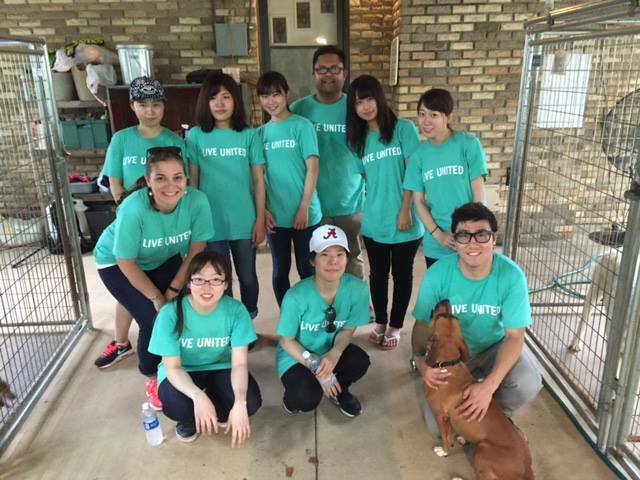 The Capstone International Center is a proud partner and contributor to the United Way of West Alabama’s efforts. Each year for the past 30 years, the CIC, along with the sponsors and participants, holds a Sakura Festival in early spring. Since 1986 Tuscaloosa Sister Cities International has been promoting long-term, global people-to-people relationships through international leadership, friendship and understanding. The Japan-America Society of Alabama (JASA) is a private, not-for-profit association in its third decade of encouraging and developing friendship and understanding between individuals who embrace the business, culture and education of Japan and the United States. The AlabamaGermany Partnership is your resource for information about German companies, events and business opportunities in Alabama and Alabama companies, events and business opportunities in Germany.